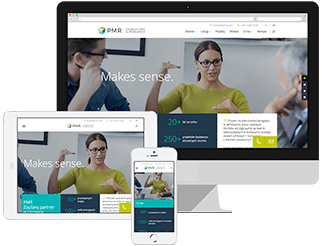 PMR Research is a specialised division of PMR, a British-American company providing market research and consulting services to companies interested in Central, Southern and Eastern European countries as well as other emerging markets. Since 1995 we help global and regional companies in understanding their business environment, continuously increasing their market share and successfully entering a new territory. Many of our clients are listed on the Fortune 500 ranking. We undertake over 300 research and consulting projects each year. The company’s longstanding experience and goal-oriented team of around 100 professionals underpin our commitment to providing our clients with up-to-date, relevant, consistent and actionable directions. The scope of our projects varies according to the client’s need – we are equally adept handling multi-country as well as single-country projects. Our clients receive a reliable analysis, followed by conclusions and recommendations that can be used to add real value to their business evolution. PMR Research supports our clients in decision making processes using our expertise in conducting market research, marketing research, product development research projects. 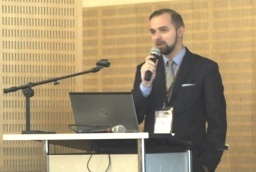 Areas in which we have amassed extensive experience include the pharmaceutical and medical markets (we have a continually expanding panel of doctors in Poland with whom we regularly collaborate), FMCG and retail, IT and telecommunications, banking and finance and construction. PMR Research competitive advantage is built on a unique combination of a local approach with international quality standards. Value for our clients is also based on the synergy of in-house industry data, analyses, forecasts and personal contacts in variety of sectors, as well as research and consulting skills. We are an active member of ESOMAR (European Association of Opinion and Marketing Research Professionals) and BIG (Business Information Group).